Heading out to the range for the first time can be extremely intimidating, especially as a woman. As you’re walking down the aisle, looking for a bench, you’re going to see people a lot more experienced than you, hitting their marks like experts. Do we even want to go into what it’s like to call “Hold fire!” the first time you need to go set up your target? Sure, everyone takes this time to check their equipment and maybe even adjust their own targets, but you’re going to make what could only be compared to a walk of shame as you cross the firing range feeling everyone’s eyes drilling into you. Trust us, they feel the same way when they do it, but that’s not the issue here. 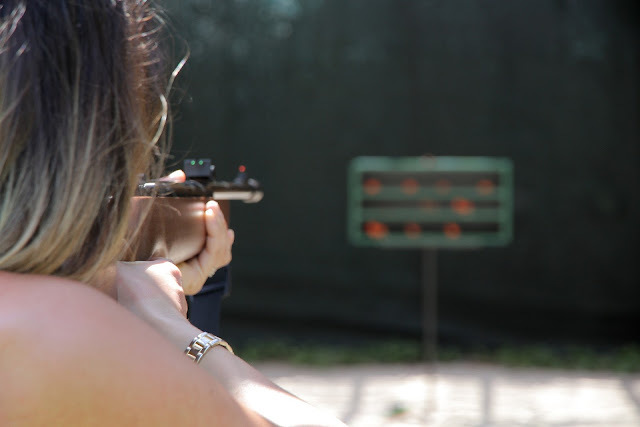 The issue is knowing what to do when you step onto the shooting range, and with our help, you can learn exactly what you need to know to not only do it effectively, but to look great. Seriously, you’re going to look damn good walking up and down the range anyway, so who cares? You’re going to hear all about packing the right gear no matter who you end up talking to, and you’re also going to hear all about the latest and greatest. One important thing for you to remember when you’re buying any kind of gear, is that you’re a woman, and you have different needs from your male counterparts. 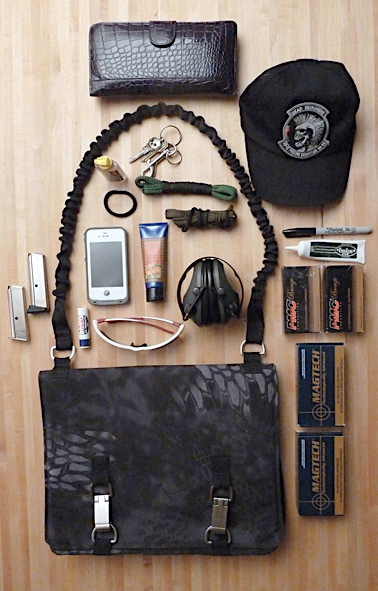 You need to pack a lot more badassery than they do, and it’s hard to fit it all in those stupid male-designed range bags. It definitely won’t hurt to start taking a look at the Offhand Gear NORB bags and products to find those made specifically for women – not to mention, they have a much more feminine aesthetic. As a new shooter, one of the most important things you need to learn is familiarity with your rifle. You probably want to make that fabled 1000 yard shot in the rain, like all of the top shooters that you hear about, but here’s a fun fact: it’s not going to happen on day one, no matter how much of a badass goddess you are. It’s going to require some patience, so first, you will need to put your target 25 meters away just to see how well you can hit. After twenty shots, you can check your progress, and see how well you’ve done. Work on maintaining a proper cheek weld, and become familiar with the weight of your rifle. It might sound boring, but this is a ‘getting to know you’ period with your rifle. So, get to know it! Learn it inside and out, from reloading, to operation of the bolt, and most importantly, safe shooting procedures. action (upper receiver), and know that if it is being touched in any way, your shot groupings will be extremely erratic. There is a lot that happens when you pull the trigger; for example, the barrel experience vibrations, and if those vibrations are now allowed to resonate, the entire experience is going to be random. Can you see the problem here? Think of it like applying mascara; you don’t want that wand to touch anything; free floating handguards are your best bet if you want to have a great experience. One of the keys to successful shooting is to choose the right position – it’s more important than you think. 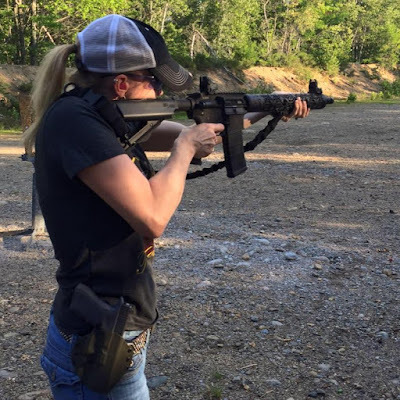 You have several options, for example, beginner rifle shooters at the range will like to take up a bench position, which is helpful because you can have all of your accessories sitting on the bench beside you. Hey, what’s a girl without all her accessories at the ready? Also remember, if you’re relaxed, you’re going to have less fatigue, and less fatigue means a better shot. You need to take some time and learn where to place your finger on the trigger. If you’ve taken any type of gun safety course, you were probably told to use the tip of the trigger finger, as more than just the tip would be a little less accurate. In some cases, just the tip will cause the rifle to move to the left, so try using the pad of your finger. 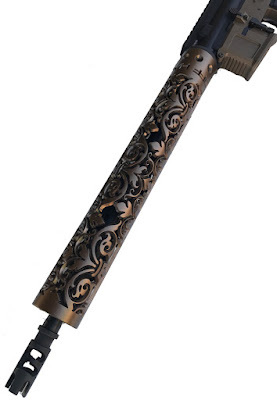 This gives you greater control and will keep the gun in line with your shoulder. In the end, this is going to help you to control the recoil and set you up for the next shot in your grouping. It’s not too much more work, and it will make all the difference in the world. You’ve heard us talking all about cheek welds, and we’re still 100% about this. When we talk about the cheek weld, we’re talking about the top of the stock, or the comb, where your cheek should be placed. From this position, you should be able to look through the iron sights or the equipped optic, if any. 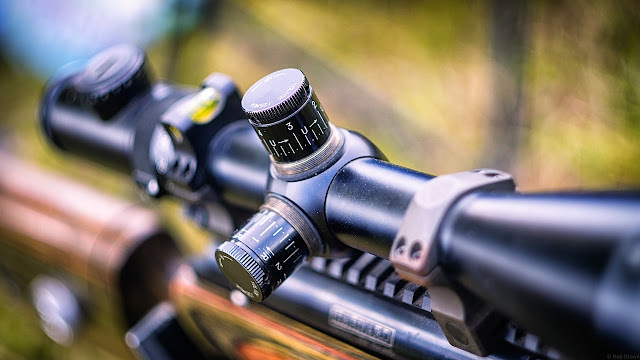 If you have a rifle with iron sights, the top of the stock should be flat, but if it has a scope, then the stop should be raised, which may mean purchasing a new gun stock or lower rifle scope mounting rings. You have a lot of work ahead of you to ensure that you’re aiming straight and improving at the range, and the beginning can be rough. Don’t be afraid to ask an expert for help and most importantly, use the equipment from Offhand Gear to be a total badass babe.